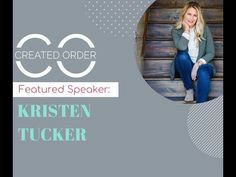 Jumping out in faith and starting as an entrepreneur working with an Inc. 500 company, Stefanie Peters was so excited about going after her dreams and paying that forward. However, very few people believed in her from day one. Instead of letting that get her down, it became the ammunition to ignite her soul and to show everyone who’s the boss. Stefanie has since then become a keynote speaker, mentor, wellness coach, and creator of Lady Boss Empire. In this episode, my guest is Stefanie Peters. I’m excited about this interview. This is going to be so motivating for the audience. If you want to start living a life of purpose and influence, Stefanie Peters is a national speaker, author, and serial entrepreneur. She started her first business at the age of eighteen while attending high school. Stefanie shattered the glass ceiling and became the youngest female executive in one of the fastest growing companies in North America. She was determined to help women like herself find financial freedom and independence. As her movement grew, Stef founded Lady Boss Empire, an empowerment platform and resource center for female entrepreneurs. 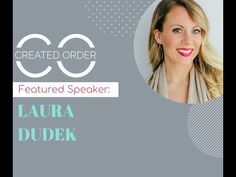 Besides building multiple businesses, she is the host of The Boss Life Podcast, creator of the online course, The Boss Life Blueprint, certified John Maxwell coach and savvy real estate investor. Welcome, Stefanie. Thank you so much, Jennifer, for having me be a part of this. It’s been such a blessing getting to know you. We’re just going to go ahead and give the audience the inside scoop that we met because we were both part of a book launch team for Terri Savelle Foy. We set up an appointment to talk on the phone, and we decided we were kindred spirits with the same goals in mind or something like that. I have a copy of your book called, Unleash Your Lady Boss. You would look absolutely amazing on the cover. I started reading this book, and we couldn’t be more similar when it comes to our outlook on life and business. I’m super thrilled to have you on the show. Thank you so much for coming on. We’re going to jump right in. I have lots of tabs in your book, lots of pink post-it notes. One of the things that you and I have in common is we both started in Corporate America at a very young age as females. We are working in an environment with a lot of men older than us. When I heard that about you, I was like, “I know what was going on in her world.” I’m sure you know what was going on to mine. It’s funny because when you are sharing in the book, I want you to share the story with the audience about when you were working at your company, and you decided that you were going to be the top executive the following year at an award ceremony. An older gentleman looked at you with a smirk on his face, and as soon as he did that, you decided you were going to show him who is lady boss. I remember having that same experience in my early twenties so go ahead and tell us that story. Jumping out in faith and starting as an entrepreneur working with this Inc. 500 company, I was so excited about going after my dreams, my God-given potential and paying that forward but very few people believed in me from day one. Let’s call it reality; I had no prior business experience. I didn’t know what I was doing. Eighteen years old blonde, who’s going to take me seriously? I don’t blame the guy for telling me that I couldn’t do it, but it became the ammunition. It ignited my soul with, “I’m going to show him who’s boss and I’m not going to let anyone call the shots.” I’m a spitfire by nature, game on. If he wouldn’t have done that, I don’t know if I would have made it. More power to both of us, I don’t want anyone ever to tell me what I can or can’t do. There were many rock bottom moments in my journey, but they happened for a purpose and a reason. I don’t know about you, but I learned so much from being a young female working with almost all men. How to handle yourself and how to stick up for yourself but in the early years, some of my managers, the people ahead of me, they did have faith in me as a young female. Looking back, I’m like, “That was pretty cool.” Some of them became mentors for me. They wanted me to succeed. Everybody always thinks that the good old boys club is all bad, but sometimes you can learn a lot from them. Lady Boss: There were many rock bottom moments in our journey, but they happen for a purpose and a reason. Even one of my good friends, Jason from New York, I remember listening to a CD series way back as I was starting to build up my team. I heard him, and he blazed a trail for young people, and I was like, “If Jason can do it, I can do it.” I called him up, and I said, “Jason, you don’t know who I am. My name is Stephanie Peters. I wanted to let you know how much I appreciate you. I heard your CD series, and it gave me hope that I can crush my goals so thank you for that.” He took me underneath his wing, and we’re literally like best friends to date. He has taught me so much about everything that I needed to know to soar. I feel women need to hear that. If you are trying to hide your light to not to outshine your girlfriends, you’re not living up to your full God-given potential. One thing about when you were young is that you were willing to step out in faith. A lot of women are insecure when they’re young, and they don’t learn that until later on in life. Tell us a little bit about what gave you the confidence to do that at such a young age. Tears were welling up in my eyes. I remember running out to my car because I couldn’t keep it together. You’re this eighteen-year-old dramatic blonde that’s riding the emotional rollercoaster of business and sales. I remember calling up my mom and bawling and said, “Mom, I can’t do this. I don’t have what it takes.” She’s like, “Stef, come on over to my house. We’ll go around the pond.” We call it the therapy pond. She makes life all better. I remember running up the driveway, slamming the door in her face. I locked myself in the bathroom and looked at myself in the mirror. “God, this is what I thought I was supposed to do and I’m going nowhere superfast. I feel like I can’t even hear you.” Then I heard this still small voice saying, “When you can get out of your way and decide that this is about empowering other people to step up into their God-given potential, I will open doors that no man can shut. Between now and then you can keep doing what you’ve always done, and you’re going to keep getting the results you’ve always gotten.” I was speechless. Lady Boss: God can’t drive a parked car. He needs you to start getting into action, and he will guide your steps as you go along. That was the tipping point when I blessed it, released it, gave it to God and put my head down and worked for the Kingdom. That was when I became the youngest female senior director with the company, the youngest female executive director in the company. Not to say that there weren’t hard times along the way between that and when I accomplished those goals. I had decided in my heart, and my heart was right. There was not a going back, it was burning the boats and it became a lot easier because I had my head in the right spot. It’s interesting because we talked about that before about the difference of being in business, having to control everything and come up with your plan, your own ideas. The other side of it where you said, “God, you’re on my business partner, and I’m going to do it your way,” and then trust. Even though there are times where you want to give up, you still have to remind yourself to keep on believing. The whole reason that anybody is going to go after their purpose and live this way is that it’s not to glorify our name, my name, your name, somebody else’s name. It’s to glorify his name. The crazy thing about it is that he had a specific plan in mind for every single person before we were even born. That’s why you’ve walked through these difficult things. That’s why one person saying, “You can’t make,” gave you more ambition because God knew what he was doing the whole way. Me being an organizer, I’ve shared before that when you’re an organizer, you’re always like a plan. I remember being so caught up in the perfect plan that I would forget that God was in charge. When you remind yourself that God’s in charge, it’s a huge weight off your shoulders that you know even if it doesn’t happen now, it’s going to happen. Everything’s going to be okay and be of his will as long as you keep on praying, “God use me. God, I want to see your will done in my life.” It’s so much more powerful. 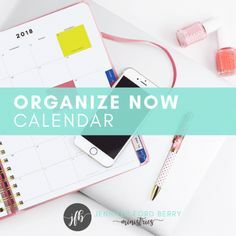 One of my mantras is, “Different than I expected but better than I ever imagined.” We think about, especially being very organized, having the plan and working the program. We always have that idea of what it looks like, and then we execute. That’s a beautiful journey if we keep working towards that, but sometimes God can shift our heart. God’s ways are higher than our ways. Let me say that everybody that is anywhere successful in life had the same fears because we’re human. If your fear is stopping you from taking a step in the right direction, then you are never going to get out of the parked car. He wants the people that are going to say, “I’m scared, but I still put my trust in you.” That’s going to be the difference between the person that makes it to fulfilling a life of purpose and those that don’t. Everybody has those fears. It’s a matter of continually reminding yourself that he is bigger than those fears. I love in your book where you talk about writing your story with your own pen. I’m going to go ahead and read this part of your book. Rule number one of becoming a legendary lady boss: when writing the story of your life, don’t let anybody else hold the pen including your spouse, your parents, your friends, coworkers. They don’t get to shape how you want to be remembered. They don’t get to decide your life. You do, you have the opportunity right now to write your ultimate life story. What women need to hear is the permission that if you’re understanding what Stefanie is saying, you have that little voice inside of you saying, “I have a dream. I have something that I want to go after, but I’m waiting for the perfect time.” There’s no perfect time. You have to put one foot in front of the other. You have to take some action and show God you’re serious. I hear that all the time. I’m not going to have a baby until I have a house or I’m not going to get a house until I’m making this much money. I’m not going to get married until I have the job making this much money. Girlfriend, there’s no perfect time for anything. You have to learn to be your own permission slip. The dream that God has put on your heart has not been placed on anyone else’s heart on this planet. You’re the one that knows what you’re supposed to be doing, where you’re still supposed to be going and no one else can tell you otherwise. Sometimes we let everybody inundate us what we should be doing, how much we should be making, where we should be living, the type of person we should be marrying and the kind of career we should have. We don’t know what end is up because we don’t take time to listen to that still small voice. We know the right answers, but we don’t make enough time to be still and understand and listen to His voice. When we do get to that place, it is incredible how there’s clarity in there. If people on the outside don’t understand it, that’s okay. That’s not on us, that’s on them. Literally a year later, he called me up and said, “I hear you’re crushing it in that business.” He said, “I want to sit down and make sure that I wouldn’t be interested.” We got together for coffee. He’s got some of the biggest volumes to date on my team. It’s hilarious but, “Not now does not mean not later.” It’s a matter of you keep owning you. It’s amazing how people’s eyes will be opened if you’re loving your life regardless. You’re living your best life. Lady Boss: Take action on your dreams and put together a game plan of what’s your daily mode of operation. On page 81, you have these four squares. You have the hot mess, the lady boss, the yes girl, and the rookie. It’s so cute because the lady boss is designing her life: productive collaborations, creating creative content and propelling her purpose forward. The rookie is mindlessly scrolling through Pinterest watching Netflix obsessively, mall marathons, significant time stealers. The bottom line is people that are successful are intentional with their time. I am even putting this together in my next book and helping people to take action on their dreams and putting together a game plan for their daily mode of operation? What’s your dream routine? What does your ideal week look like? What does your perfect month look like? Many people say, “I want to start my own business. I want to do this, I want to do that.” They are all over the board, and they don’t have a clear-cut game plan. They’re grasping at straws. I love to help women, especially in my coaching calls and things put together a step by step plan. Otherwise, they get shiny object syndrome, squirrel syndrome and they feel like they are all over the board. Focus is one of the primary keys that a lot of entrepreneurs are missing. It’s so exciting to help them to ground themselves in that power plan. Everybody that I coach goes through time management 101. I cannot believe the number of people that don’t know the basics of time management. Nobody’s ever taught them. Every day they’re winging it, and they’re not planning out their week ahead of time. I always tell people to pick a specific day of the week, usually a Friday afternoon, a Sunday evening or something like that where they can plan out the next week. Take that 24 hours and do something with it as an intentional plan. Otherwise, somebody else will take those 24 hours from you. At the end of the week, it’s like what people say about their money, where did it go? They won’t even know where their time went. If you want to start making a dream that you’ve had for a long time come true, the best place you can begin is looking at your schedule. It could be as simple as, “I’m going to start reading for a half-hour a day, or I’m going to start listening to podcasts on my way to work. I’m going to start a time management program or coaching program. I’m going to get a mentor, and then you make time for it to happen. When somebody else says, “Can you do this on Wednesday at noon?” You have to look at your schedule and say, “No, sorry I’m booked. I have something going on,” before you say yes to another mall trip. I can learn so much from you, Jennifer. I feel like I’m at a place where I’m pretty decently organized but there’s always room for growth. We’re all a work in progress. I always say I want to grow until I die. I never want to stop growing and learning. You talk in your book about how important it is to create a tribe. It is incredible when you get your life surrounded with like-minded women that want to lift you, not push you down. Having a sixteen-year-old daughter, we talk about what a real friend is a lot. Not to say that your tribe is necessarily a friend, but I always tell my daughter that real friends want you to be skinnier, richer, healthier, have a bigger house and a better car. They want those things for you. If they don’t, then they’re insecure, and they’re going to feel better the smaller you play. It’s the same thing with a tribe. Let’s talk about that. You live and die with the tribe that surrounds you. I’m sure everyone has heard this, but you genuinely are a combination of your five closest friends, the books that you read, the places that you go and the podcasts that you listen to. It’s crucial. The other thing that I say all the time to the women that I coach is if you’re the smartest person in the room, you’re in the wrong place. For you to go to that next level in your life, you have got to surround yourself with those people where iron sharpens iron. One can put 1,000 to flight, and two can put 10,000 to flight. There is so much power in getting yourself in a mastermind group. Get yourself in a group coaching program. Who is your coach? Who’s the person that’s taking you to that next level? I have four different types of tribes that I surround myself with. One that is like a thousand miles in front of me that inspired me. I have the people that I’m working synergistically with, a lot of my partners that are at a very similar level. We’re all helping each other with regular check-ins. I’ve got my team who is my VA and my assistant and other people like that that are supporting the business to scale. I’ve got the people that I give back to. I’m giving to them on another level. It’s fantastic when you have that type of team and tribe in place; all bets are off. Lady Boss: You don’t know what you’ll get if you don’t go out there and ask for what you want. We need to get out of each other’s way, not our own way. We need to start embracing. When you realize that your purpose and the plan God has for you was made specifically for you based on your gifts, talents, personality, and circumstances. Then you also realize that helping another woman succeed is not going to cut you down at all. You’re not going to give anything away that God has in store for you. There’s plenty to go around. You’re going to be blessed ten times more by giving and by sharing. I remember when I was writing my very first book. I idolized Peter Walsh. He was on Oprah every week talking about organizing. I was in love with Oprah and Peter Walsh. I remember thinking, “What if I reach out to Peter Walsh and ask him for advice on my book.” I did, and he said yes (because he’s like another normal person). He told me, “Jennifer, do not write a book for the money but because you have a message to share that’s uniquely your own.” That was huge to me because I realized that I didn’t have to write a book as any other author did. I needed to write it the way I wanted to write it and based on what I thought of the words God gave me. I didn’t have to worry about what would sell and what wouldn’t. If you want to do something that somebody else is already doing, reach out. They will probably say yes. If they say no, who cares? Reach out to somebody else. I walked into Calvin Klein to pitch the next gal the same way, and she said, “We’ve never done anything like that, but I’ll call the manager in California and see what happens.” She called back within the hour and said, “Yes, we’re super excited about sponsoring an event. We’re going to give water bottles to everyone in the audience, and we will sponsor all the outfits for the fashion show.” I have become great friends with Angie. I actually helped her get a job when she transitioned out of Calvin Klein. You never will know what you don’t know. Get out there and ask for what you want. It’s unbelievable how things happen in your favor. 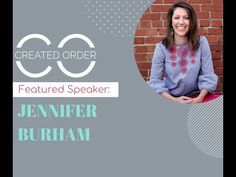 If you want to see more of Stefanie, she’s going to be speaking at my Created Order Conference, which is taking place in Charlotte, North Carolina on June 29th, 2019. This is going to be a conference that will help so many people. If you want to make a significant change in your life, then this is the conference for you to come to. It’s going to be full of women that are doing life with God and living on purpose. We’re excited you’re going to be there, Stef! Thank you so much for the invitation. I am so excited about adding value. If you’re putting it on, it is going to be a party. I can’t wait to endorse it for all my lady bosses in my tribe. Thank you, everybody. Thank you, Stef. We’re so glad you took time out of your busy day to join us in the show. We look forward to talking to you again soon. I felt like I could never be an athlete because I was uncoordinated and struggled to breathe because I had such severe asthma & allergies. When I hit high school, my guidance counselor suggested I join cross country to meet friends. Running for “fun” sounded like the last thing I wanted to do, but I decided I would give it a shot and I was completely hooked to the endorphins running gave me. It became the best stress reducer in my life! I enjoyed encouraging girls on the team and breathing belief in them even when they didn’t believe in themselves! Eventually, I was recognized as the most inspirational runner because I was the girls biggest cheerleader. Meanwhile, my Senior year in high school I started coaching for Dale Carnegie and became addicted to equipping and empowering people with the tools they needed to flourish in life! I remember a specific woman walking into class so unsure of herself, as timid as a mouse. So, I specifically took her under my wing and did some more one on one coaching that was unconventional. It took quite a while for her to warm up, but I saw slow progress week after week. She stood up to give her final speech in week 12, and head held high, delivered an incredible speech! She thanked me profusely and I was grateful we were able to give her the gift of self-confidence and hope to live the life she was called to. When I was growing up, I never liked to exercise or eat healthy. Since then, I have become a keynote speaker, mentor, wellness coach, & creator of Lady Boss Empire. My heartbeat is to see women flourish in ALL areas of wellness. We teach anywhere from Financial Peace University to 44-week body burn challenges, to Meal Prep 101’s, to Success Seminars! We are a dynamic group of women that are here to help you achieve your goals in business & LIFE! I believe when we work as a tribe we are unstoppable!